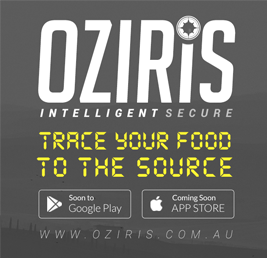 Beston Global Foods Company Limited (BFC) announces that the patent pending software OZIRIS First Release is now available for download from both Australian App Store and Google Play. This Release will allow users to scan and view Product information and trace it back to its producers. It runs in both English and Chinese language. OZIRIS website is live at www.oziris.com.au where users can view and experience the technology, how it works, how to join and find our participating producers that have joined the platform prior to the launch. Facebook ozirisfoodtrace, Instagram and twitter have all been linked to the site to provide interesting, exciting and fun feeds regarding food. We are pleased to announce also, that we have other producers that are non BGFC who have joined OZIRIS platform prelaunch. Their products will be available within the next few weeks. This First release of OZIRIS App does not allow the full capabilities of the track and trace technology. But it allow consumers to understand how the technology works and identify the identity of the products and their producers. Subsequent OZIRIS releases over the next few weeks and months will sequentially enable the additional capabilities and will provide products end to end Track, Trace, Mobile Purchase and Counterfeit detection.